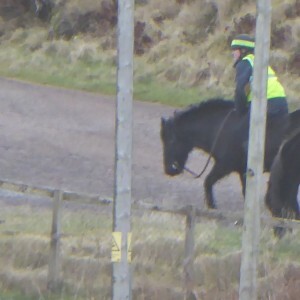 This is a first for me as I have never seen horses in Tarbet. 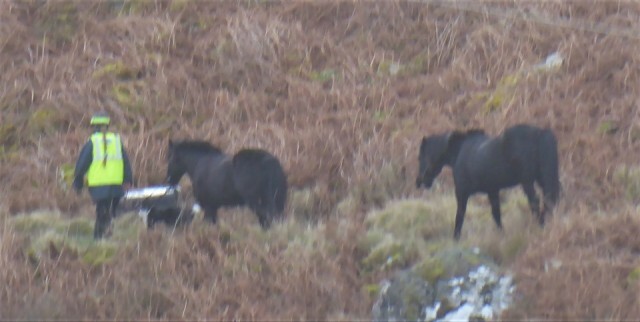 I was quite surprised when I looked out of the window and saw a yelloe jacket and these two horses on the hill above ~William's House. 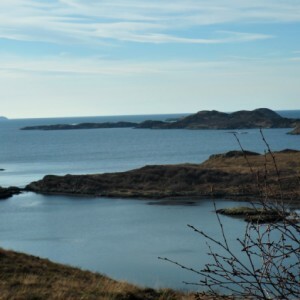 This is on the path from Scourie. I watched them and they came down William's driveway and crossed the road towards Ritchie's house and then they disappeared. The person with them was not leading them and they seem to be just following her/him . 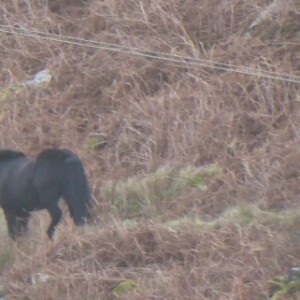 There was a collie dog too. I drove round but didn't see them. I went for my lunch.